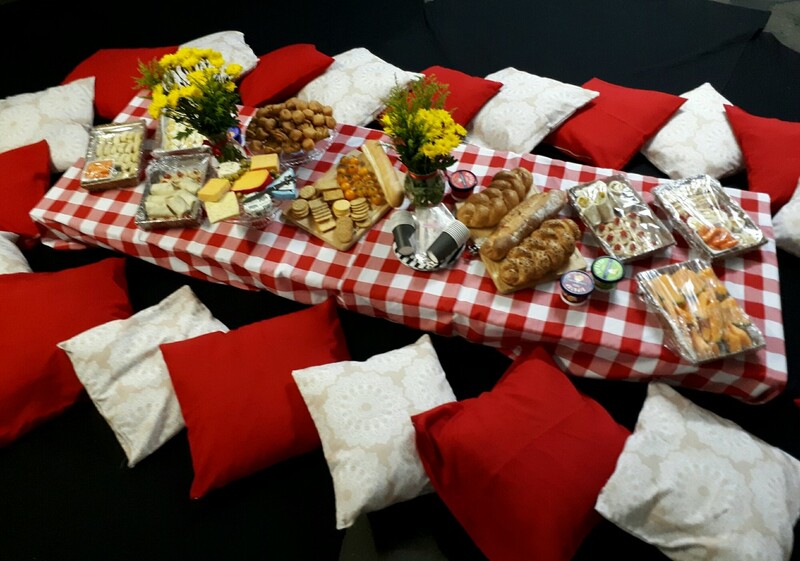 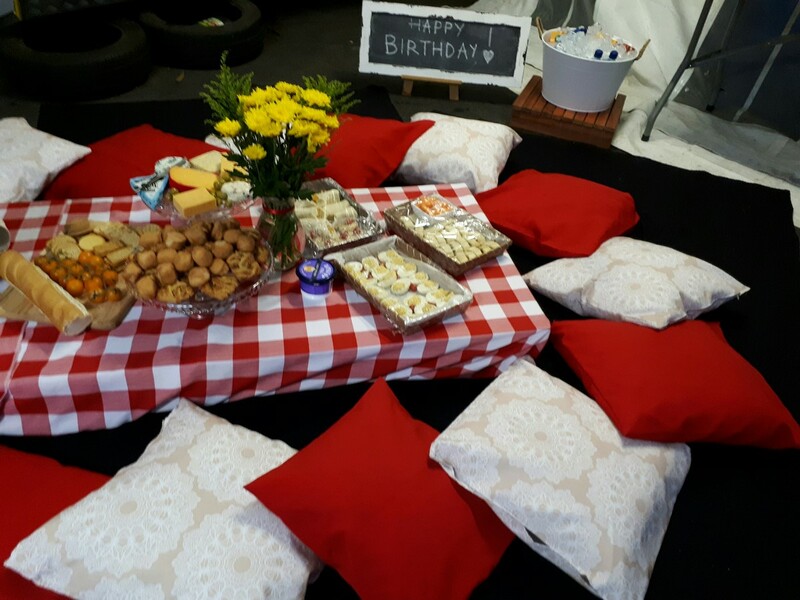 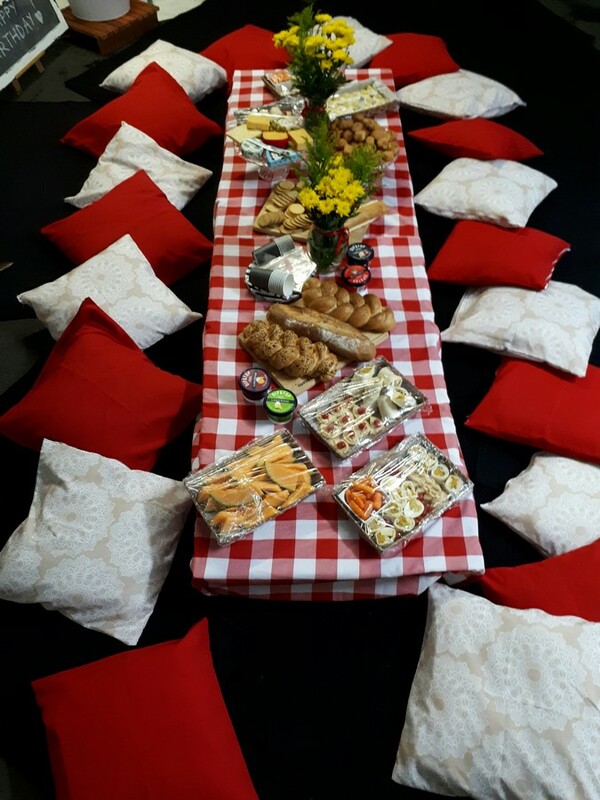 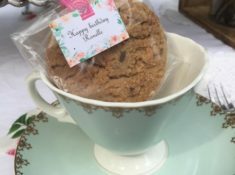 Last week we had the pleasure of planning a surprize birthday picnic for one of our clients. 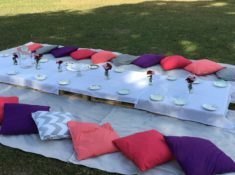 We do love surprizes! 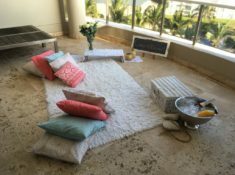 But as Durban weather would have it, it yet again sent us running in doors! 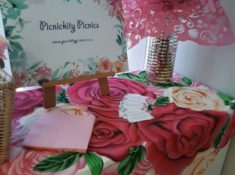 We were a bit disappointed as the set up we had in mind would have been perfect on lushy green lawns. 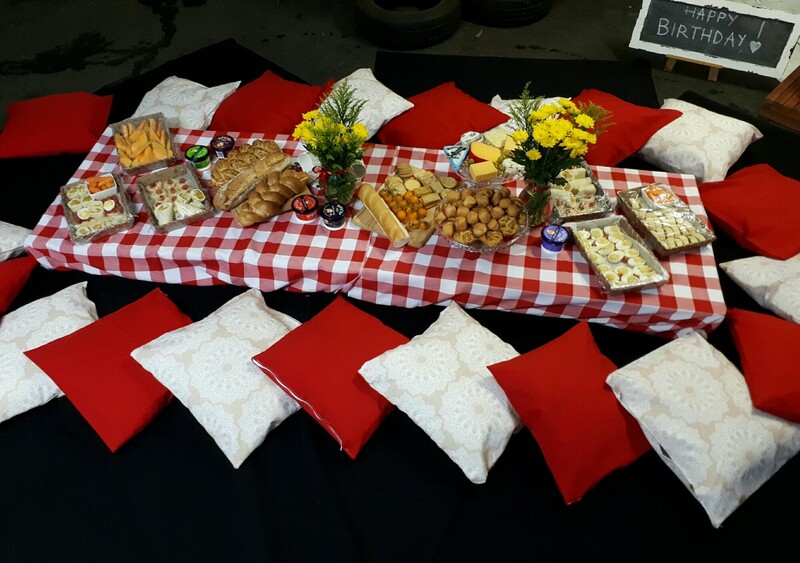 But alas, we kept our spirits high and put together a special set up for our client. 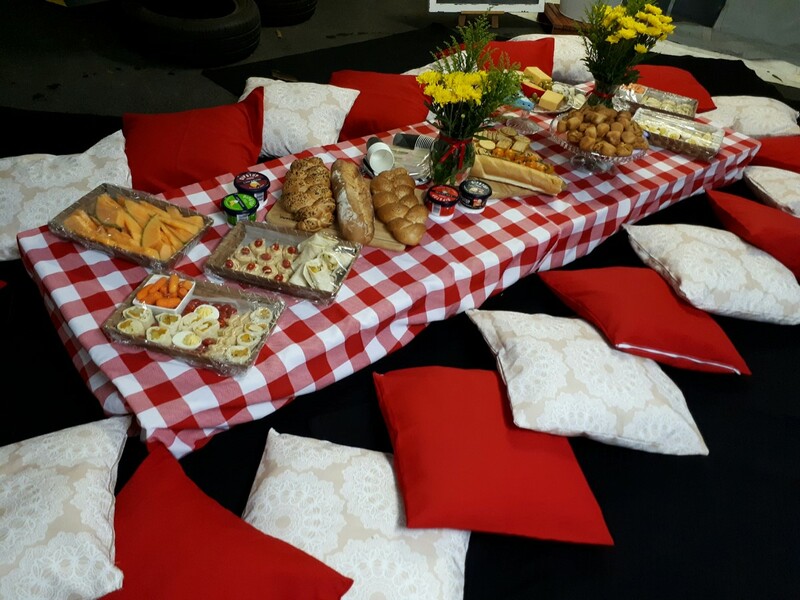 We went the more traditional route with the red and white checkered table cloths and the look came together so nicely!